King Glass, Inc. | Windshields, Shower Doors, Garage Doors, Awnings, Mirrors, and Everything in Glass! 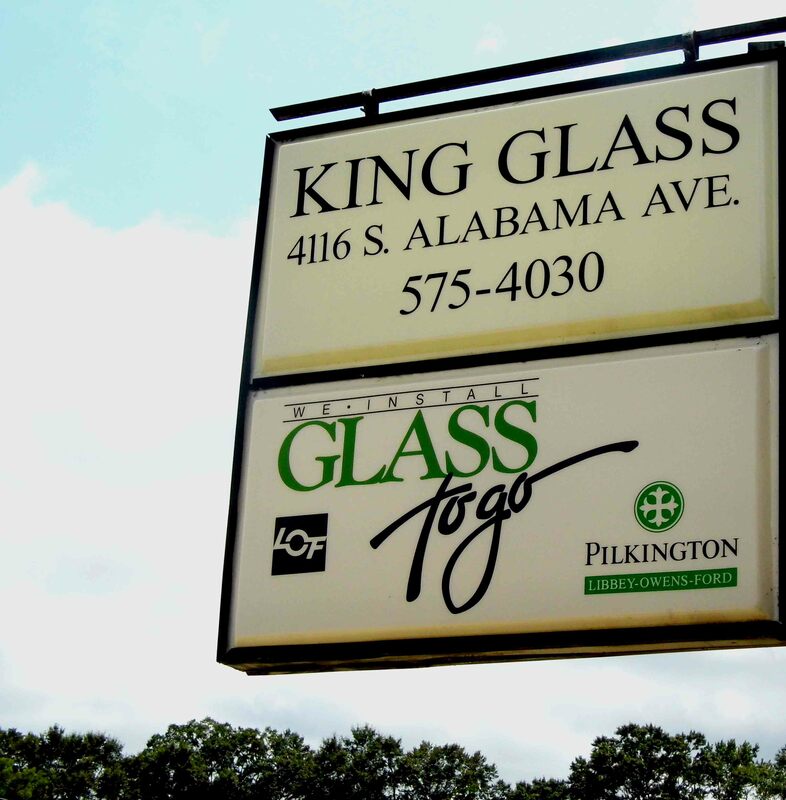 King Glass has been operating in Monroeville, Alabama since 1964. We are experienced in glass repair and installation. We cover Monroe County and all surrounding areas. When it comes to our services for glass installation and glass repair, there’s no limit to what King Glass can do for you. From our initial free consultation to installation, repair or replacement, we will be there. When you call us, you won’t need to worry about the safety of your car glass replacement or newly installed storm windows. We understand the job at hand, which means we’re able to do it right. We are the answer to all your glass-related needs! When you call, we will answer your questions, give you a quote, or set up an appointment for consultation and estimates. Because we get the job done right, it can take up to two weeks for residential estimates and new installations. Once we have determined the best way to meet your needs, we will explain every step of the process, whether we are installing a new glass store front or doing car glass replacement after an auto accident. Feel free to stop by the shop to discuss your needs with our office staff. If you have an emergency, we are more than willing to adjust our schedule to keep you as safe as possible. Our years of experience and quality workmanship mean you will receive the best service in the area. We are a retail business and do not provide wholesale pricing.